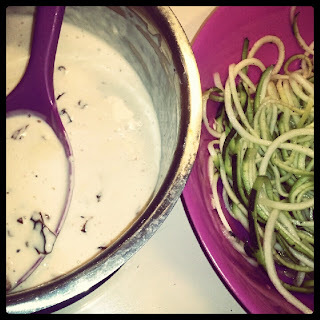 Zucchini noodles with my sundried tomato Alfredo sauce. 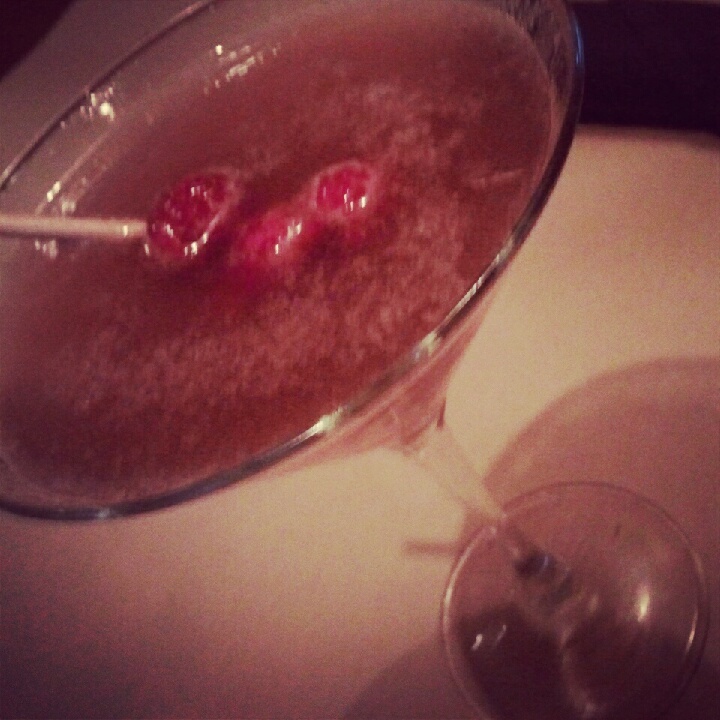 Raspberry martini from Bonefish Grill. 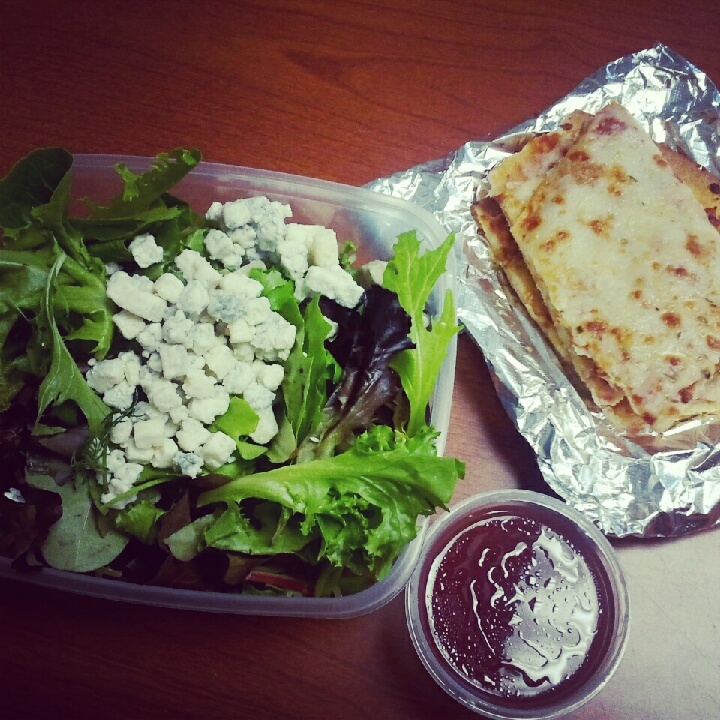 Herb salad, blue cheese, raspberry vinaigrette, and thin crust pizza.